Shots are delighted to feature a guest article by the two writers Michael Sears and Stan Trollip who write the Detective Kubu Mysteries collaboratively under the name Michael Stanley. 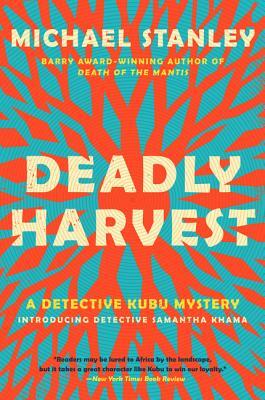 The latest novel is Deadly Harvest, and a dark tale about the African Ritual of Muti which we reviewed at Shots recently. Deadly Harvest is the 4th in the Detective Kubu series – but can be read as a standalone. At times this novel is frightening in terms of feeling lost in a dangerous and unforgiving region [filled with ritual and superstition] but balanced by a light sense of humor that keeps this tale from veering into dry melodrama. The sparse but comprehensive delineation of the vast array of characters is masterfully done, as is the authenticity of the backdrop, and its detail. Special mention must be made of minor character Big Mama, the owner of “BIG MAMA KNOWS ALL” Bar and Lounge [aka ‘Shebeen’] as she, like her drinking parlor adds a vivid streak over the proceedings. It was Anglo-Irish Politician Edmund Burke who once said that ‘for evil to thrive, all it takes is for good men to do nothing’. David ‘Kubu’ Bengu is a example of one of Burke’s good men, for he, with help from his colleagues uncovers the truth behind not only the missing school girls, the death of the Politician, and finally uncovers who is referred to as ‘the man who is invisible’, the malevolent being at the centre of the Shakespearian tragedy that is Deadly Harvest. It’s even difficult to come to grips with the term witch doctor, which is used for a wide spectrum of practitioners. (In Botswana the term ngaka is used; the same word is also used for an ordinary doctor.) 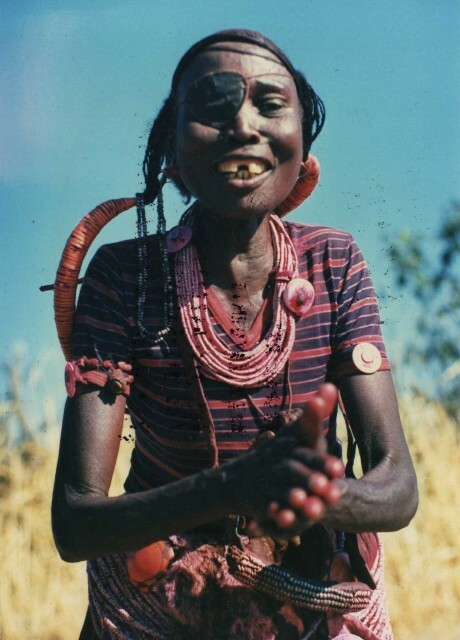 At the one end of the spectrum are traditional healers (like Kubu’s father), who have skills and knowledge of local herbs and plants and who provide a useful service. At the other end are reprehensible characters who promise impossible results at huge expensive using potions involving human body parts. The underlying belief of the latter group is that it’s possible to transfer the powers or attributes of an animal or human to another person through a potion or muti that is used as an ointment, consumed, or just carried. Thus a muti containing the heart of a lion confers courage; a youth’s testicles heightens a man’s sexual prowess; and parts of an animal thought to be lucky bring good fortune. As most of these desirable outcomes are governed by the recipient’s mind, it’s easy for witch doctors to achieve success and gain respect. As their fame grows, so do their claims. In the seventies, a witch doctor known as Ovambo Sophie provided freedom fighters in Namibia with muti that she claimed made them immune to bullets. Few of her believers returned to refute her powers. The rarer the donor, the more powerful the muti. Albinos are particularly sought after, and their body parts fetch huge prices. Dreadfully, it’s thought that the muti becomes even more powerful if the harvest takes place while the victim is still alive. Unfortunately, the practice is becoming more common rather than less. Of course, these are brutal murders, and the police take them very seriously. But there are several reasons why the killers are seldom caught. In the first place, there is no clear connection between the victim and the murderer, a similar problem to serial killer cases. Secondly, witnesses (and the police themselves) are scared of black magic and dubious about taking on the wielders of it. And, finally, given the cost of these potions, the end users will be rich and powerful people that one wouldn’t like to cross. It’s hardly surprising that most cases go unsolved. A famous one in Botswana led to riots when the police failed to make progress on the muti murder of a young girl. Eventually the government called in Scotland Yard to conduct an unbiased review. They did their own investigation and reported to the government, but their report has never been released. It’s in this context that Kubu and new female detective Samantha take on a feared witch doctor, reputedly invisible and horribly powerful, in DEADLY HARVEST. More information about Michael Stanley is available here and the first two chapters are available here – but we warn you that once read, you’ll be downloading or ordering Deadly Harvest, such is the intensity of the writing.